New "Buy Me a Pie!" for iOS 7! 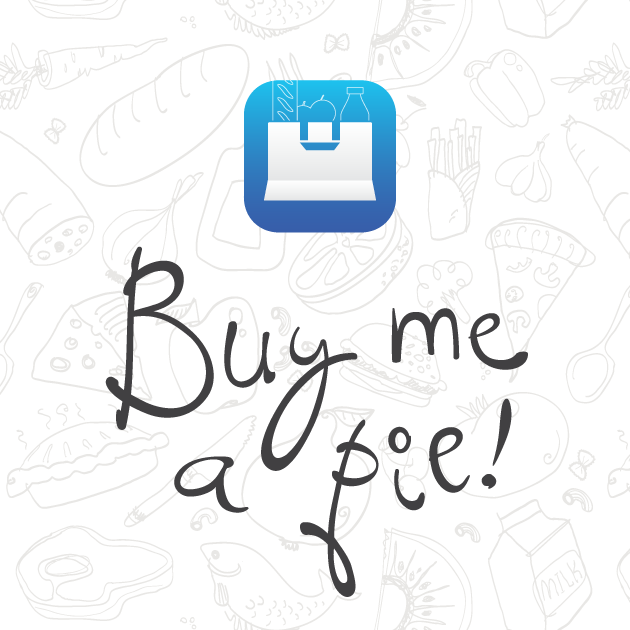 New “Buy Me a Pie!” for iOS 7! 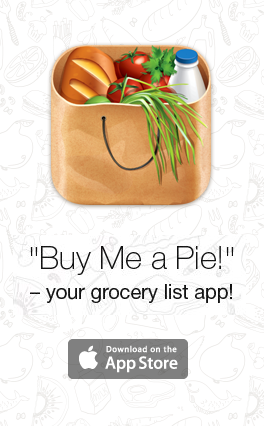 Home > Blog > New “Buy Me a Pie!” for iOS 7! Share the post "New “Buy Me a Pie!” for iOS 7!" Hello, I’m Sergey Bulaev, the founder of “Buy Me a Pie!”. I created it for myself and for shoppers like me – for those, who value their time, money, happiness and environment. Our application is over 2 years old. During these two years we made 4 million shoppers all over the world a bit happier. 80,000 of them use “Buy Me a Pie!” every day. Everyone on our team works hard to make your shopping easy to enjoy, prevent aggravation in your family, and save you time for something more worthwhile than shopping. Today we’re starting a new era. Following the newest trends of iOS 7, we created the best “Buy Me a Pie!” we’ve ever made. This is not an update of our app. This is a completely new application, created from scratch! Like its predecessor, it will be your indispensable tool at a store, but it is different. It has everything you like about “Buy Me a Pie!” – yet it’s better. It’s similar to the presentation of Apple’s new iPhone. Yes, just like Apple, we’re announcing our exciting new app release! The new “Buy Me a Pie!” is fully adjusted for iOS 7, that lets you take advantage of the premium capacities of your iOS 7-based device. The application has absolutely new flat design. It is hot! From now on it will store and display all the long names of items, plus all the little details we’ve learned that ladies like to add. We understand how important it is for you to specify certain brands, models, and even flavors. That is why we added this capability. The new “Buy Me a Pie! allows you to have several shopping lists, wish lists, to-do lists. We know that you’ll find some really witty ways of using our app! To make it more convenient for you, we’ve made a new “list of lists” – the interactive list where you can see the titles and the first few items of your lists, managed by gestures. Open a list by stretching its name vertically, and pinch the open list to return to the lists of lists – I bet you’ll enjoy it! Let me just say once more: the new “Buy Me a Pie!” is NOT an update. It is a completely new application already available in the App Store. You can keep on using the previous app as it is, but there will be no further development of it – don’t miss out on the amazing new features you can use in the new app! The new best grocery list is waiting for you! You are such sycophants why everything in this soulless Apple Design. You might think that’s an app from Apple. Shame on you!! The new app has Apple design because it is made to on used on iOS7. If the app looks like made by Apple – we’re proud of the new design! Again 2,69 Euro for Flat-Design and little Updates? You’re kidding!! Toooo expensive -> I already bought your App! The price in App Store at the moment id the introductory price with 50% discount. You can keep in using the old app^ it stays functional and running. The “little updates” are actually a completely redone app. It is not the same app. There is “Buy Me a Pie! Classic” and the new “Buy Me a Pie! – Grocery shopping List”. Two separate apps. Classic app has been developed and received free updates for over two years, it has a definite design and set of features. “Buy Me a Pie! 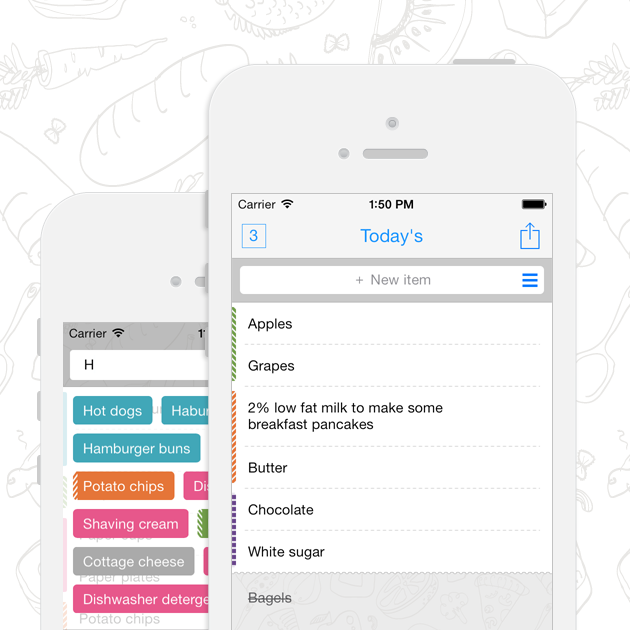 – Grocery shopping List” has a different design, different way of lists management, etc. So if you want the new app, it should be purchased separately. If you prefer to stay with Classic app – you can do that and not purchase the new app. What’s about free update for recent buyers? I did purchase Buy me a Pie two month ago. The free update, that made the old app compatible with iOS 7, was 3.4 version. It was provided to all the existing users free of charge. This new app is not an update to the old app. This is a new standalone application. Same here, just bought it 2 weeks ago. This is ridiculous. You created it from scratch, but still it is just a new version of an existing app. You can’t make people buy it again for this price tag – after all, it’s shopping list!!!! A shopping list! No, this is not a new version of the existing app. We do not make anyone buy it – the old app stays running, it can be used on iOS 7. You should definitely consider giving free update for people who bought the app within some given time. The free update, that made “Buy Me a Pie! Classic” compatible with iOS 7 was provided some tome ago – this was version 3.4. It is not obligatory to purchase the new application. The one you’ve bought works with iOS 7 as well, you can keep on using it. We have two apps now. One that has been purchased before, that has been developed for over two years, that works with iOS7, and keeps on working – and another one, that has just been released. If we would have just redesigned the old app, it would have been provided as update. But this is actually a bad solution – to use the app, created for one iOS, to make it just look as if it is for the new iOS. This would have been a sign of bad quality. I agree with the others. I only purchased the app about a month ago. I am not willing to pay for a “new” version. It should be a free update for those who already purchased the app. I will give my money to a different app creator before I pay for it again. It is the principle. This is a bad business decision on your part – not a great way to treat your customers. Please let me explain once again: the app you purchased works and will work, you can use it – it will function. You do not to purchase the new app if you don’t want to. I understand that it took time to make the new version and time = money but you’re selling your existing user base short. I would focus on attracting new business vs turning away existing. Personally I’ll continue to use classic until apple absorbs this content into their system as a base app. Bummer this was the path you decided to take. Although the new version has new (and probably useful) features, I will not be purchasing. Like so many before me, I do NOT appreciate the abandonment of the version which made a name for you and your subsequent repackaging, re-labeling and re-selling of a slightly altered product. Sure, $2.99 will not break the bank but you’ve just raised a middle finger to those who purchased before, myself included. Why should I buy this version when a couple months from now you’ll add another “feature” which makes it an entirely new app and you’ll want another $2.99 form us. There are plenty of other list apps out there and I’ll be starting my search for a suitable replacement now. “Buy Me a Pie! Classic” has been developers, received free updates and was filled in with new features for over 2 years. Has any feature it it been charged any extra? No. By the moment it is exactly what it was planned to be for its cost – that is why it is considered feature complete. It has a certain functionality, a certain design – and costs a certain price. And it keeps on working. Sorry, but we can not agree with the statement about “slightly altered product”. The architecture of the new app is different. I only just bought but me a pie like a month ago! What a waste of money! You can keep on using the app you purchased – it stays functional. recent buyers. Moreover, I guess this is an error of your marketing strategy. I will NOT buy the new version. There’s others alternatives. One of the alternatives is to keep on using the Classic version you purchased. It stays functional and works on iOS 7 as well. Yeah ok I got that, but then please stop the really annoying overlays and PUSHES (are you out of your mind to send me push notifications to buy the new app)? I bought the now previous version a short time ago -AND- bought a copy for my wife so that we could sync shopping lists. Now you want me to buy not one but two new copies so that we’re on the same version. Thanks, but no thanks. I guess it’s back to Any.do for us. Multi-line list items? Refreshed design? These are “brand new features”? Sound way more like upgrades to me. What a way to treat people who bought, in some cases, several copies of your software. Yes, these are brand new features. As well as completely reworked lists management and improved synchronization. And the design is not the refreshed old design – it is absolutely new. Not that this will matter to all of you who are mad about this but I bought the new version right away. First off, it’s only US$3. If you’re mad about that perhaps blame Apple for not providing an upgrade mechanism but don’t blame the developer. Second, they’ve not done anything to the first version, and you can continue to use it. You don’t have to upgrade. But more importantly, there are a few key differences in the new version that totally make it worth buying. The major new feature at least for me is that the area that contains your already purchased items is light gray instead of dark gray. I can finally actually see items I’ve purchased, and “unpurchase” them when I run out. That alone is worth $3. There’s also long item names. You can now have an item be more than just a word or two. You can also see a list of lists. This means you can add a list of items in a recipe that’s separate from your regular shopping list but easily go back and forth. You could do this in the old version but it’s much easier in the new one. So yeah, it’s “just” a shopping list. But for me at least it’s the best one out there and I’m willing to cough up three bucks to thank the developer. I can type out my lists on my computer and when I get to the store it’s right there on my phone. And in a sense it’s one of the most used apps I have, at least as far as “real world” apps go. And as to “soulless Apple Design” I have to say I like it. It’s cleaner and much more uncluttered than the old one, and that contributes to making the app easier to use. So yeah, there’s a new version of the app you can buy, but you don’t have to as you can still use the old version. And I was happy to buy the new one. Thank you very much for understanding and for purchasing our new app! This is terrible – I bought the app a month ago and now you want me to pay again? Come on, you must be joking. And the to have the bad taste of sending unsolicited emails to me to market that bad idea. Bad style. You do not have to pay again. You can keep on using the app you’ve purchased. It makes sense to buy the new app only if you want the new app. Just bought the new designed app as I thought it was an upgrade. Should have checked the comments as I now feel totally cheated. Buy me a Pie is a very useful app but my opinion of the product is now totally coloured by the mean attitude of the crooks that have created it just to get our cash. I would like a refund as it is virtually no different to the original – great, you can swipe the menus open. Even that doesn’t work properly, you have to have tiny fingers (which I have and it still doesn’t work properly). Sergey it would be good if you could put a comment on here as it would be nice to know exactly what I have paid for. Let’s see how your customer service compares to your enthusiasm for your wonderful new product. There are two applications – “Buy Me a Pie! Classic” (the one you have purchased before) and “Buy Me a Pie! 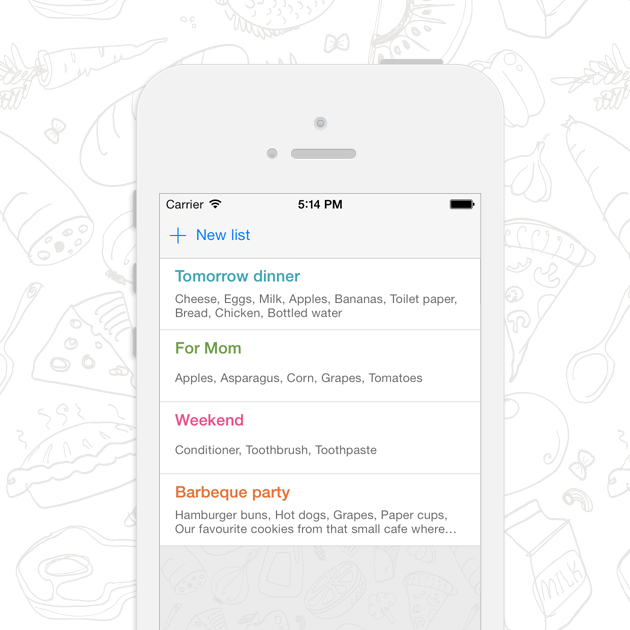 – Grocery Shopping List” (the app you ave just purchased). One is not an update to the other. As for refund – all the transaction matters are handled by App Store, not by the apps developers (developers have no access to this kind of info and thus have no opportunity to issue refunds). Please contact iTunes App Store for refund. I bought the ‘classic’ version 2 weeks ago. And now you created a brand new which is NOT an update? This is not fair! I’m not ready to pay another 2,69€ for nearly the same app. And my classic app won’t get any updates?? UNFAIR!!! There is no need to buy the new app if you’re satisfied with the old one. It will stay op and running, you’re welcome to keep on using it. The NEW app is only an update. It’s version 4.0. The classic app is version 3.6. No, the new app is not an update. It is a new app, created from scratch. The Classic app stays functional, it can be even used on iOS 7. The Classic app got free updates for over 2 years already. We consider its development complete. The the price it costs it has a very good set of features. Comparto la opinión de otros varios usuarios, yo compre la aplicación hace pocos meses y ahora me quieren cobrar el up grade, por mi parte continuaré con la versión anterior, hasta que Uds. evalúen un up grade free. Congratulations! The perfect way to lose customers! Charge new fee for minimal upgrade. Lots of whining going on here… If you like the old version, stick with it. If you like the new version and new features, buy it. Thank you! That exactly the point! I just bought this and now you want to charge me again for an update. No way! We no way want to charge you again. We offer a new app. The one you purchased stays functional, so you’re welcome to keep on using it. I loved your old app and am happily about to buy your new one. The attitude a lot of smartphone users have that they should pay a ridiculously low price for software and then expect free updates for it forever is disgusting, selfish and puts developers out of business. Keep up the great work, and don’t worry about the ignorant cheapskates whining about less than the price of a cup of coffee. Thank you very much for understanding and your kind words! I love using Buy me a pie – I have bought 3 copies – one for ipad and two android. You are urging me to buy a new copy for my apple product but if this is a truly NEW design I presume it wont sync with my android versions (but there is no warning about this) – and there doesn’t seem to be a new android version. On the other hand, if it does sync with android ‘classic’ doesn’t that make the new buy me a pie more of an UPDATE? I cant seem to find any clarity about compatibility between versions and different OS so some explanation might be useful before I waste any money. Also, what happens to classic when we get OIS8? All the three apps – the Android PRO version, “Buy Me a Pie! Classic” and the new “Buy Me a Pie! – Grocery Shopping List” – a synchronized with each other. We don’t know what happens when iOS8 is released – to say that we need to see it. We have no idea of its capacities. How greedy and treacherous of you. I considered buying the new version just to leave a bad review, but it looks like plenty of people have crapped on you already. I found a much superior app in my quest to ditch you: AnyList, made by former Apple engineers, and FREE. Put a new version sequence, if you truly believe it a brand new app. Free or not, going version 3.4 to 4.0 is a sure way to declare an update. Your marketing team isn’t really handling things well, you might consider replacing them. First of all I want to say I really like the app since it provides what I need, it is very easy and intuitive to use and it does work cross-platform within our family. This app is placed on the very first page of my iPhone and so I have no issue in buying the new app, especially for the easier way to change lists and the lighter background for bought items and the indicators of updates. What I dislike in the new app is the very small colored indicator of the category at the very left border – and especially with the dashed colors it is not easy to see. Also for editing you have to wipe and press edit. Even longer pressing simply deletes the entry. And there is a small bug: after editing the amount and pressing “done” the line of the item is still swiped! * ability to change the sort order of the categories or even to edit categories and their colors. * direct editing of amount in the line of the item without wiping for editing. Or even using a (+) and (-) key. Thanks for your continued development and support of a great app. It is a shame that Apple’s store policy doesn’t allow you more flexibility for existing customers which leads to some of the negative comments I’ve seen. I’m not a developer but I understand the challenges of making an app continue to look and work the way the previous version did while rewriting it from the ground up with a new foundation to build on. I appreciate the subtle improvements and look forward to your continued development. If I recall you had to take away one of the colors to make it compatible with other platforms which is a shame. I hope you find a way to add two or three colors back in. I think you can take advantage of the shopping list tool you’ve created by expanding it to other kinds of shopping such as a hardware store, clothing stores, or even letting me create a purchase dictionary for items I want to pack for a trip. I hope you’ll consider adding the ability to manage more than one purchase dictionary across my lists.